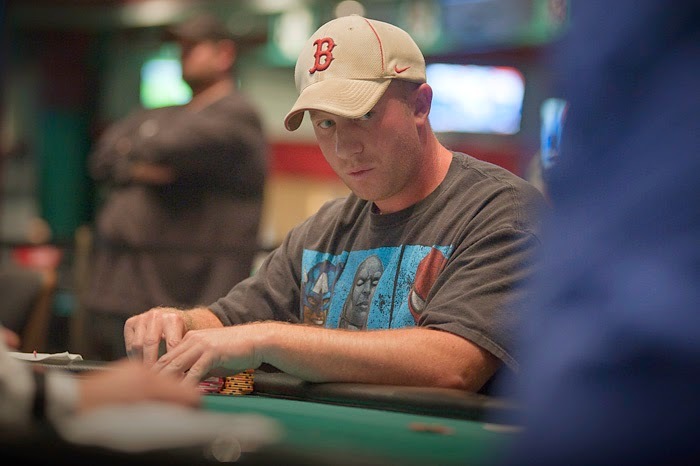 Jonathan Jaffe picked up the chip lead half way through day 3 and never looked back. 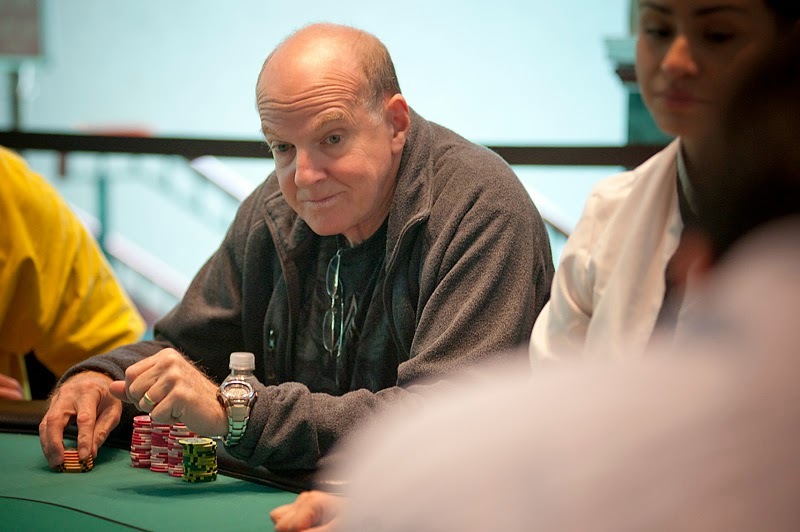 Jaffe maintained his aggression throughout the final table and with the help of a few hands, he coasted into the first place prize of $137,651. 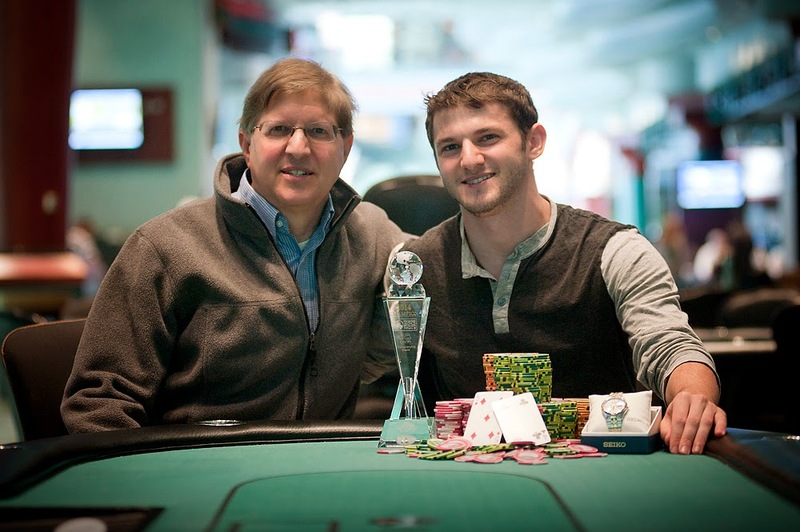 Congratulations to all of our winners at the 2014 Foxwoods World Poker Finals! On a board of [Jd][4s][5c] a raising war broke out between Jaffe and Smith until all the chips ended up in the middle. Jaffe was ahead with a flopped two pair and Smith would need to come from behind to win. The board ran out clean and Smith would be Eliminated in 2nd place, but would take home $84,841 for his second place finish. Action folded to Jonathan Jaffe in the small blind who announced he was all in. Spiro Mitrokostas called all in from the big blind for his last 385,000 and we were off to the river. The board ran out [Qd][4s][3c][7s][Qc] and we lose Spiro Mitrokostas in third place. Jonathan Jaffe opened the action with a raise to 53,000 on the button and Spiro Mitrokostas announced all in from the small blind. James Campbell re-shoved from the big blind and Jaffe folded. 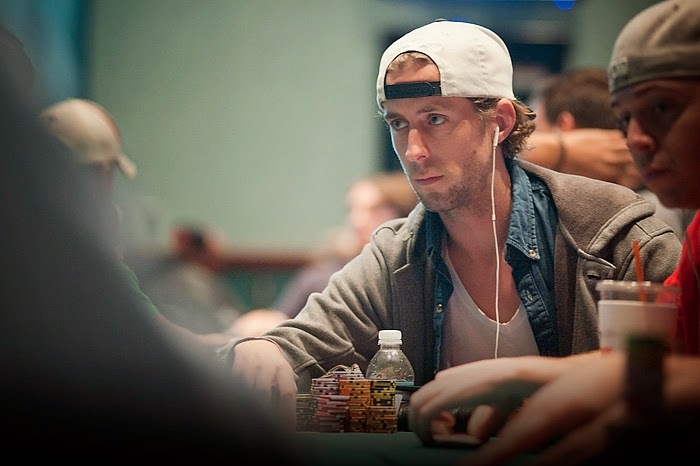 The board ran out [5c][4s][6h][10h][5s] and we say goodbye to James Campbell in 4th place. James Campbell opens the action with a raise to 50,000 from under the gun and is immediately three-bet by Aaron Smith. 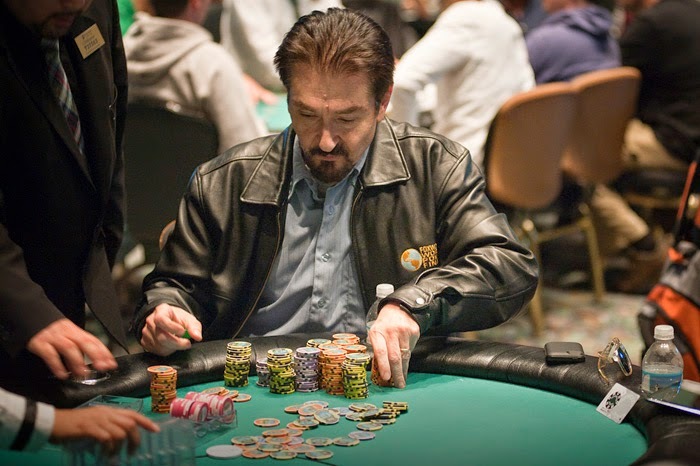 Tom Dobrilovic announced all in on the button and Campbell folds. Smith snap calls and we are off to the river. The board runs out [5s][9d][5d][2h][3c] and we lose Tom Dobrilovic in 5th. James Campbell was all in and at risk holding the [Ah][Jc] against the [Ad][Kc] of Tom Dobrilovic. The board ran out [5s][6s][Ac][10h][Js] and Campbell would spike the jack to double. Campbell is now back over 800,000 while Dobrilovic drops to 350,000. Aaron Smith was all in and at risk holding [8c][8h] against the [Kh][Ks] of James Campbell. The board ran out [8s][2c][6h][Ah][5d] and Smith would spike one of his two outs to double up through Campbell. 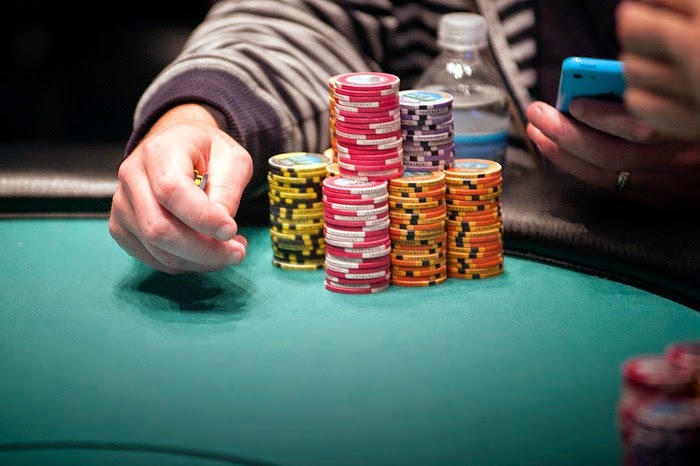 Smith now sits with over 450,000 as Campbell drops back to around the 600,000 chip mark. Spiro Mitrokostas opened the action with a raise to 52,000 from under the gun and action folded to Mark Liberman on the button. He announced all in for his remaining 216,000 and action was on Jonathan Jaffe in the big blind. After a few moments he elected to call as did Mitrokostas. 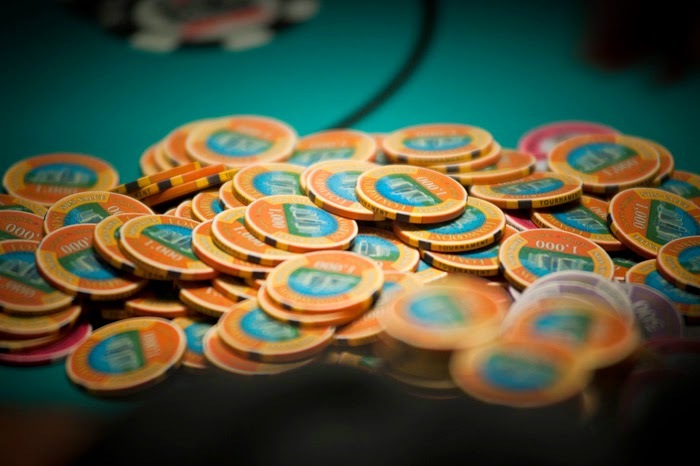 The dealer spread the [4d][Js][5d] flop and Jaffe led for a bet of 128,000. Mitrokostas folded [8h][8s] face up and it was indeed the right fold when Jaffe tabled [Qs][Qh]. 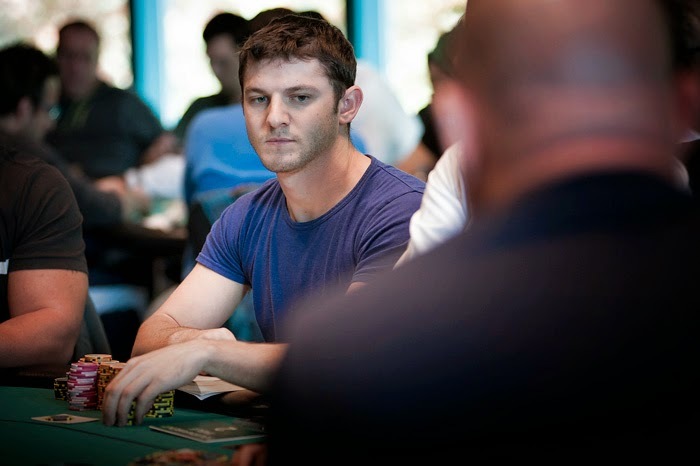 Liberman was in bad shape with his [Kh][10d] and with the [5h] turn and [Ah] river he would be sent home in 6th place. Players are now on their first 15 minute break of the day. 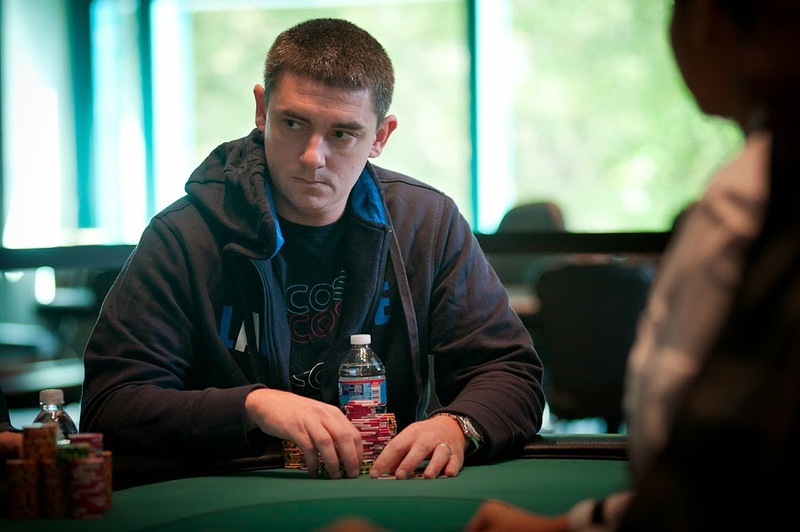 The very next hand after Tom Dobrilovic doubled through Steven Malpere, Malpere was eliminated in 7th place. Spiro Mitrokostas announced he was all in from under the gun for just over 200,000 and James Campbell quickly called on his immediate left. The other players got out of the way and Steven Malpere called all in for his last 150,000. The board ran out [As][4d][10c][2s][2c] and Malpere would be eliminated as Mitrokostas doubled up through Campbell. There will be no back to back victories for Will Failla in this event. He was all in and at risk holding the [As][3s] against the [7d][7h] of Jonathan Jaffe. The board ran out clean and we lose Will "The Thrill" Failla in 8th place. Action folded to Jonathan Jaffe in the small blind who announced all in. 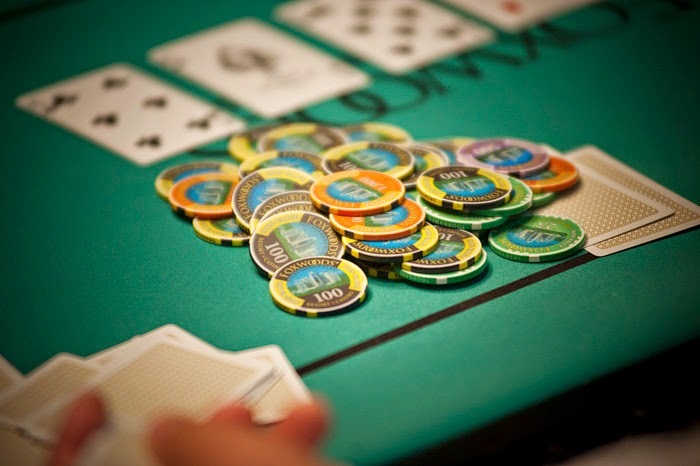 "Let's gamble" he said with a smile as he pushed forward a stack of green chips. "I have a decision now" said Mitrokostas who was immediately heckled by Will Failla. After a minute or so he announced call. The board ran out clean and Mitrokostas would double to over 300,000. 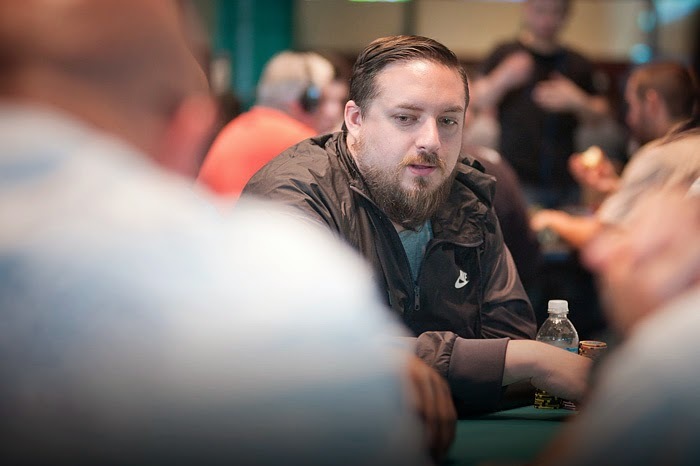 Steven Malpere opened the action with a raise to 40,000 but was quickly three-bet by Jonathan Jaffe in the cut-off to 92,000. Eracles Panayiotou sternly said "Raise" as he pushed forward 235,000 and Malpere quickly got out of the way. After a few moments Jaffe announced he was all in and Eracles immediately squirmed in his seat. After about 2 minutes he announced call. Jonathan Jaffe led out with a bet of 80,000 into Spiro Mitrokostas on a [Ah][7h][4d][10h] board and after about 3 solid minutes Mitrokostas put in a call. The [As] hit the river and Jaffe quickly announced he was all in. Mitrokostas would again go into the tank, this time for well over 6 minutes. He continued to talk himself through the hand over and over again, apologizing for the table for taking so long. Eventually he would fold and Jaffe would show him the [Jh][2h] for a jack high flush. Mitrokostas thanked him for showing him the hand and turned over [Ac][Ks]. Jaffe now sits on 3,560,000 while Mitrokostas drops down to 141,000. Play has started at the 2014 WPF Main Event final table. There are 20 minutes remaining in level 23 and they will be playing through until the end of level 24 which is followed by a 15 minute break. With that last elimination the remaining 24 players are in the money! There are 11 minutes remaining in level 23. Muhammad Rahim was all in and at risk with [6c][6s] against the [Ah][10s] of James Campbell. The board ran out [Jd][8c][10s][7h][Qs] and Muhammad was eliminated in 10th place. Play resumes at 12pm tomorrow. Chip counts and seating will be posted shortly. With the board reading [5s][3d][Qs][Kh][10c] Failla announced that he was all in. 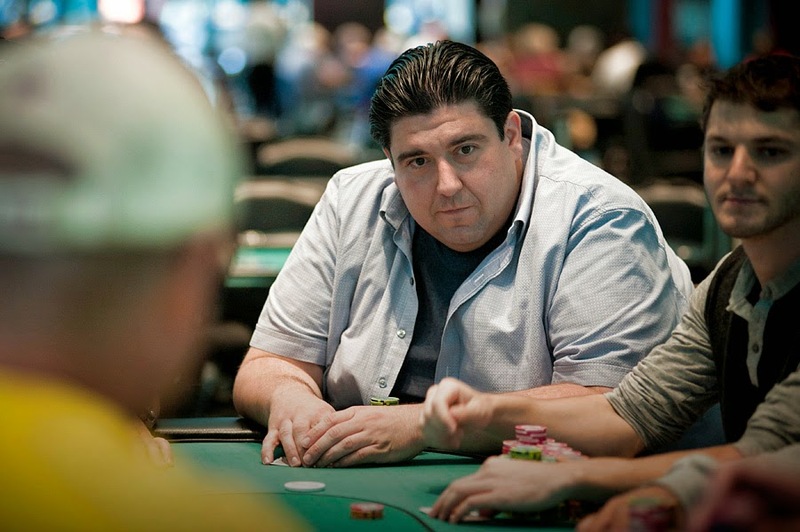 Eracles Panayiotou would put in the last of his chips. Failla tabled [10h][10s] for a rivered set of 10s. "Are you kidding me?!" Eracles said as he tabled [Qh][Qc] for a flopped set of queens. "I thought you had a straight!" Eracles is up to 511,000 while Failla is now our short stack with 160,000. 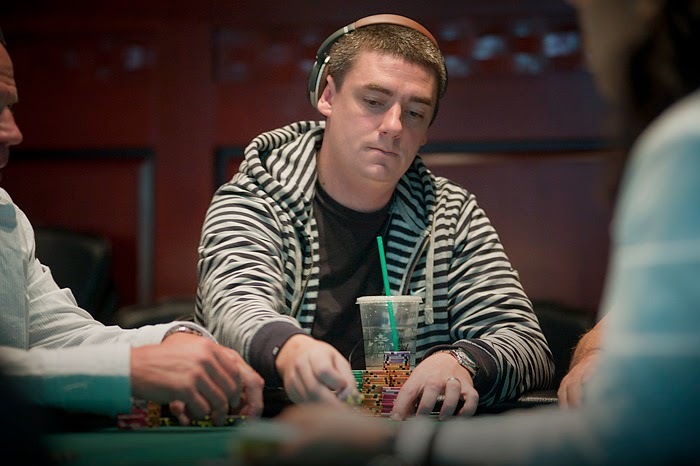 Aaron Smith is no stranger to final tables. Smith has over $275,000 in lifetime earnings including two titles here at Foxwoods. Smith has been grinding a short stack for the last level or so but has been picking his spots carefully and chipping up. In the last hand Smith found himself all in and in bad shape when his [Kh][Kc] was up against the [Ad][Ah] of his opponent. The dealer spread out the flop and sure enough the [Kd] was right in the window followed by the [5d][Jc]. The [10d] on the turn would provide his opponent with more outs to knock out Smith but the [Js] river would lock up the pot for Smith. Smith now sits with 430,000 as we redraw for the final table of 10 and will post final table chip counts once the players are done drawing their seats. Play will end for the night once we hit 9 players. 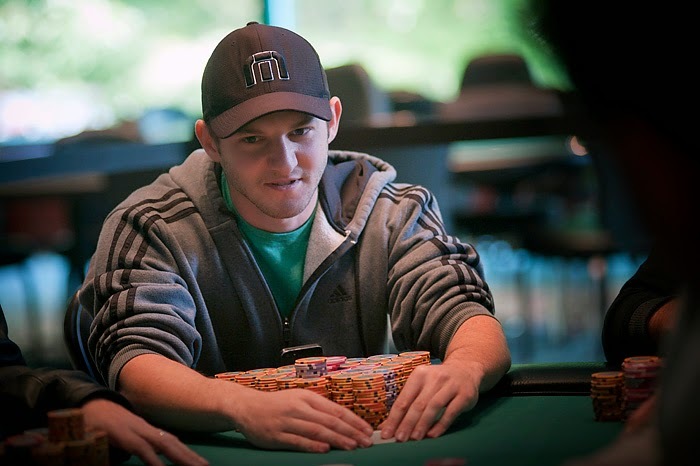 Jonathan Jaffe opened the action with a raise to 23,000 from middle position and was quickly three-bet by the small blind to 55,000. Not to be deterred, Jaffe put in a four-bet to 135,000 and the small blind elected to just call. 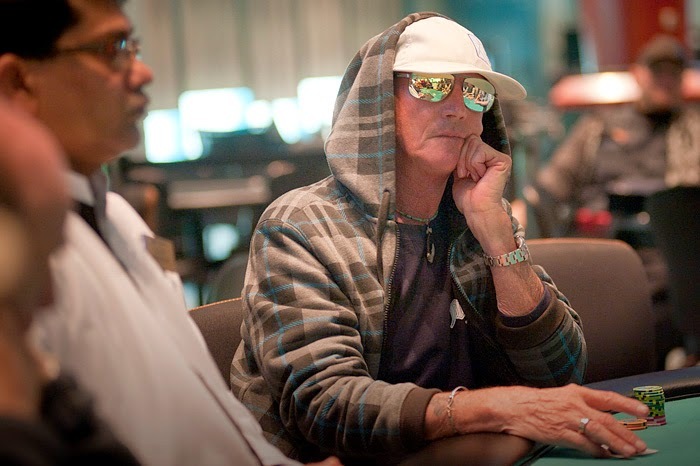 The dealer spread the [6d][10c] flop and the small blind checked his option to Jaffe. "92,000" Jaffe announced as he cut chips out of the mountain of chips he had in front of himself. The small blind announced all in before Jaffe's chips even crossed the bet line and Jaffe snap called. The board ran out [4d][3c] and Jaffe would scoop another big pot as he now sits on over 2,400,000 chips. We are down to the final 18 players and they are currently redrawing. 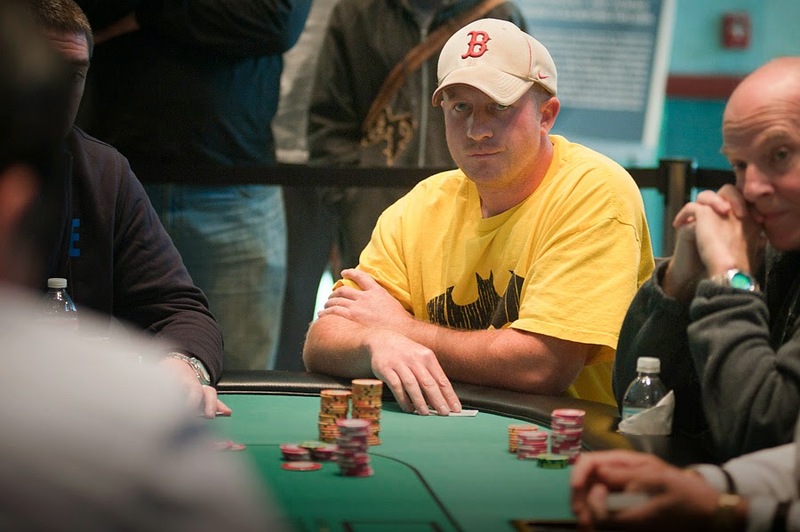 Jonathan Jaffe currently leads the field with over 1,200,000 as we say goodbye to Floyd Overton in 19th place. 30 minutes remain in level 20 and will be on a 15 minute break at the end of this level. 226 seats were sold to today's $300 NLH event creating a prize pool of over $56,000. 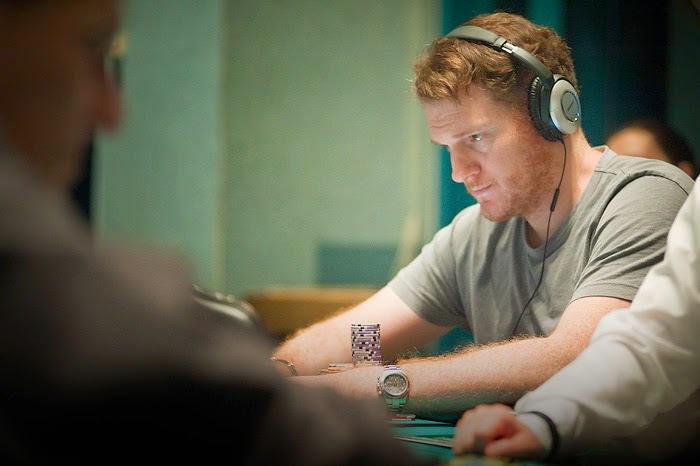 A player opened to 25,000 from middle position, Jonathan Jaffe and Adam Schiffer tagged along to see the flop three ways. 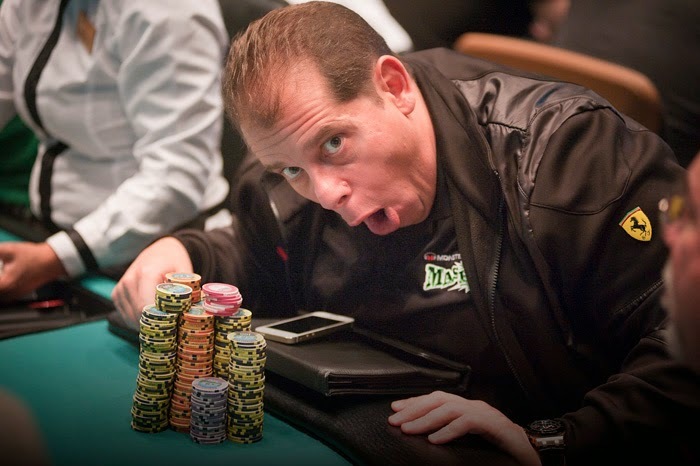 The dealer spread the [6h][10d][Jc] flop and the original raiser checked to Jaffe who would put in a bet of 46,000. Adam Schiffer went into the tank before eventually announcing that he was all in for around 100,000 more. The player from early position folded and Jaffe quickly made the call. The board ran out clean and the remaining 26 players are all going home with at least $5,771. Jaffe now sits with over 1,000,000 in chips. The money bubble is here! With recent eliminations of Natale Kuey and Andy Frankenberger we are officially hand for hand. 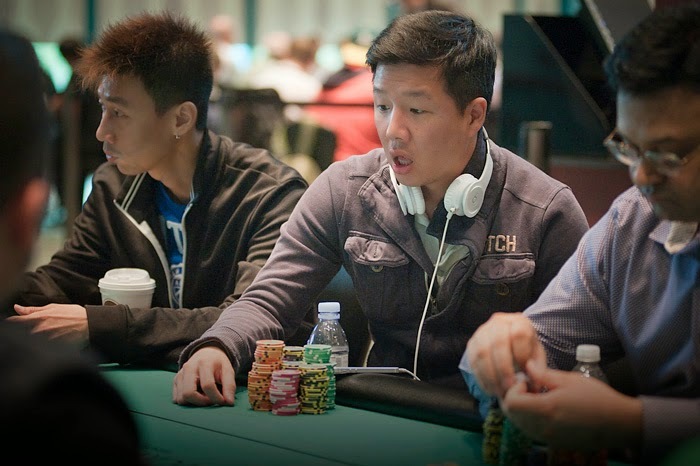 On the flop of [Kc][6d][7c] Sean Lee fired out a bet of 36,000 only to be called by Eracles Panayiotou. The [2s] turn did not slow Lee down as he ripped in a bet of 60,000 which again was called by Eracles. The [5h] hit the river and Lee again fired a bet of 70,000 and snap called as Eracles announced he was all in. Eracles ran down the aces of Lee by spiking two pair on the river and doubling up to over 500,000. 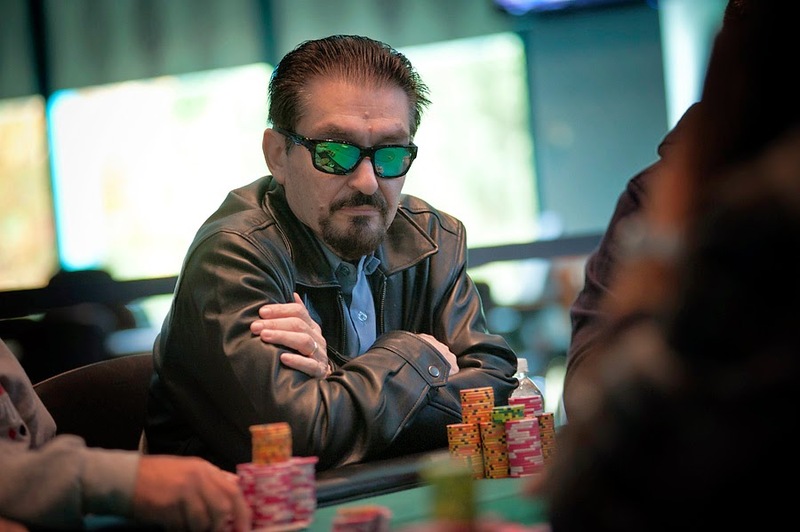 Action folded around to Haralambos Sardis in the small blind who limped and then called when James Campbell made it 11,000 from the big blind. The flop came [Ad][10h][8d] and Sardis check called a bet of 13,000 from Campbell. The turn was the [6c] and Sardis again checked his option to Campbell who put in a bet of 23,000. Sardis check raised all in for about 100,000 and Campbell called. The [4h] would hit the river and Campbell would send Sardis to the rail in 38th place. Campbell now sits with over 650,000. 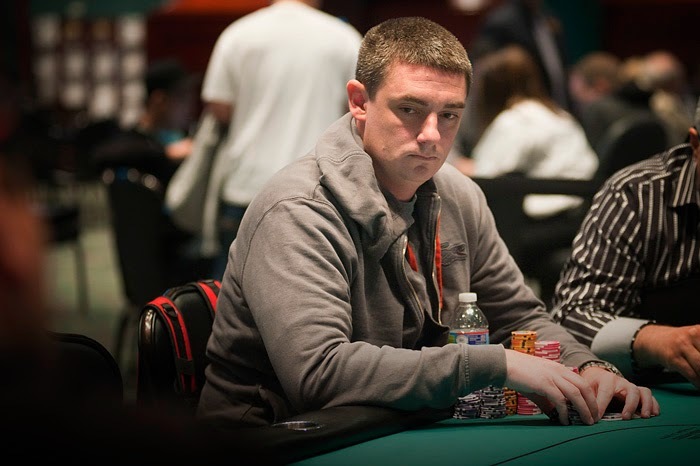 James Campbell comes into day 3 with 493,000. At the end of the day 42 players put chips in the bag. 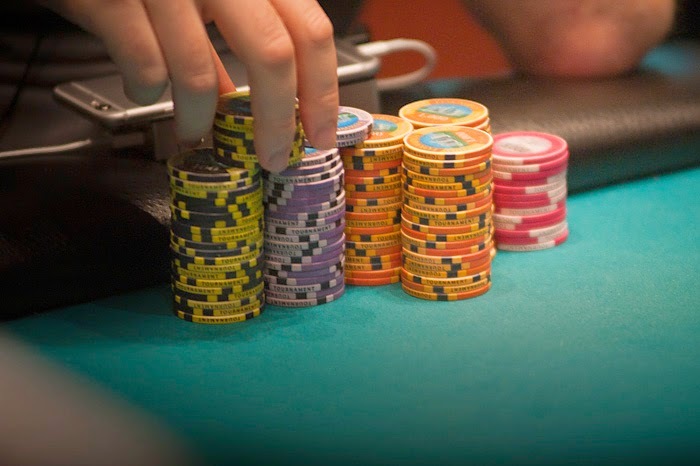 Players will be returning at 12:00pm tomorrow to play down to a final table. Leading the way is She Lok Wong with 510,000 but right on his tail is no other than James Campbell with 493,000. Chip counts and table draw will be posted soon. We also just noticed Nick Palma picking up his things and exiting the tournament area. Event 20: Time to Dine! Players are now on their 45 minute dinner break. 52 players remain. Spiro Mitrokostas collects his new chips. 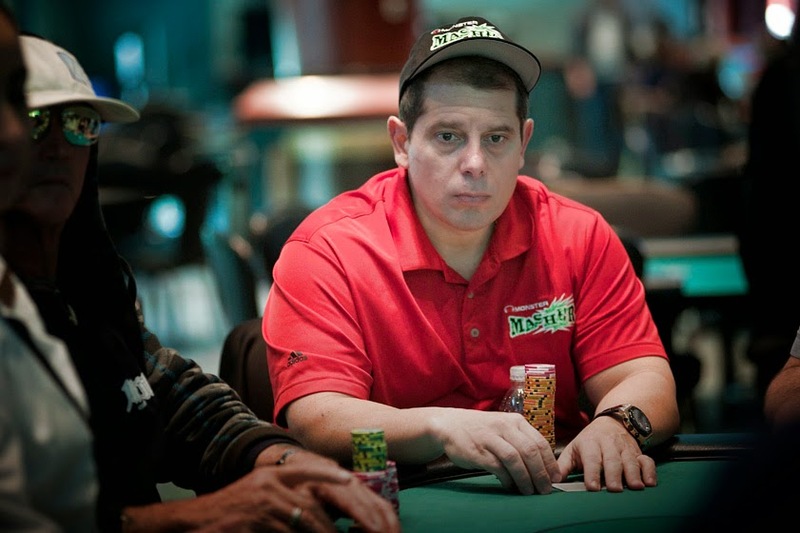 After a pre-flop raising war, Spiro Mitrokostas and Tim Reilly were both all in with over 340,000 chips in the middle. Reilly had Mitrokostas crushed and after the [4d][5h][6h] flop, Mitrokostas was drawing extremely thin. The [7d] gave Mitrokostas a few extra outs to a chop, but he wouldn't need them as he managed to find the [Qd] on the river. Reilly was in disbelief as was Mitrokostas and after a few moments Reilly packed his things and headed out of the tournament area. Mitrokostas now sits with 345,000. Players are now on their last 15 minute break of the night. Andy Frankenberger raised under the gun to 4,500. Action folded around to the button who called and both players in the blinds tagged along. The flop was [2d][7d][4s], both blinds and Frankenberger checked the action to the button who opened the betting to 8,000. The small blind called and the big blind announced he was all in for 48,700. Frankenberger went deep into the tank and eventually said call. The button and the small blind both got out of the way. The board ran out [Ad][4c] and Frankenberger would rake in a big pot. He now sits with over 200,000 with 17 minutes remaining in level 14. 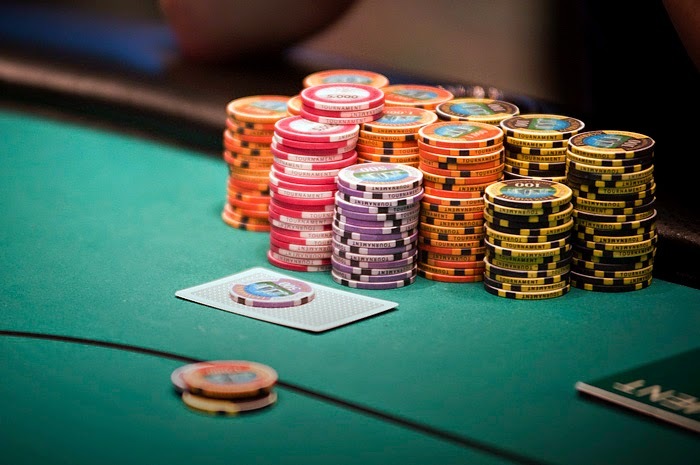 Event 18: How Do You Stack Up? 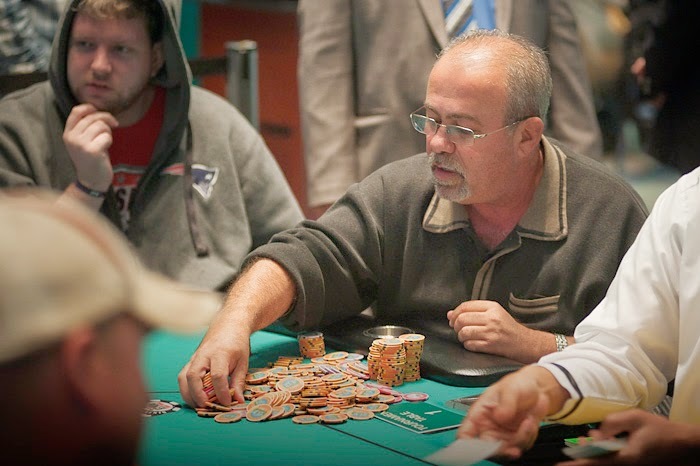 Action folded to Mike Jarvela in middle position who announced he was all in for his last 28,400. 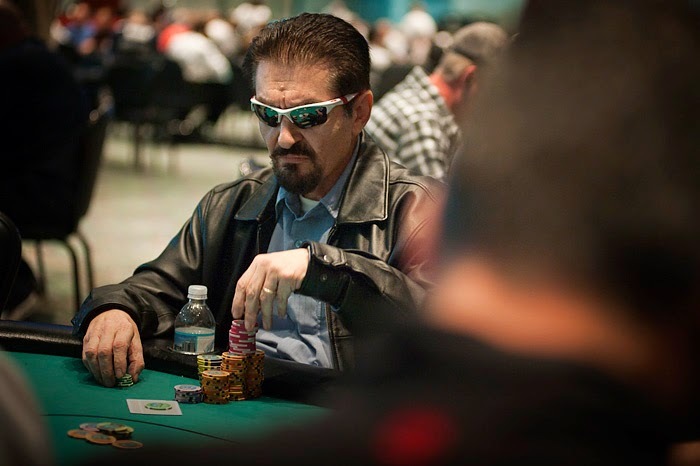 Spiro Mitrokostas called out of the small blind only to see Tim Reilly announce that he was all in from the big blind. Mitrokostas called. The board ran out [2c][2s][2h][10d][10s] and Reilly would more than double up to 130,000. On the first hand back from break Justin Adams found himself all in and at risk. Adams would have to dodge a queen, a seven, an eight, or the board running out a pair to get the double. The [2c] turn kept Adams ahead and he would secure the double with the [4c] river. Campbell rakes in a massive pot. 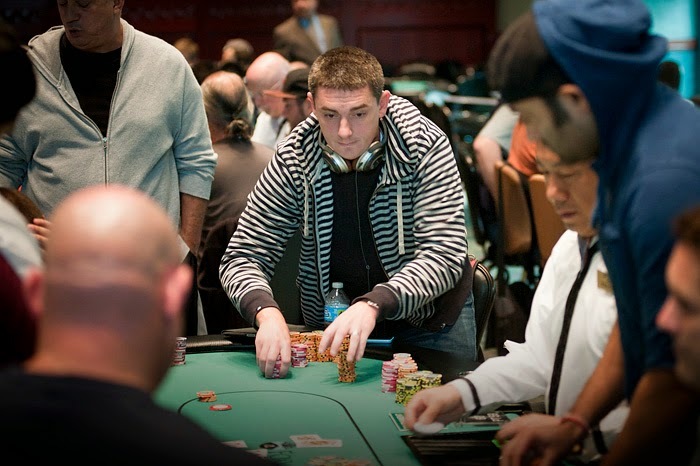 James Campbell opened cut off and was immediately three-bet by Jonathan Jaffe on the button. The small blind put in a four-bet and it led to a clicking battle that ended with James Campbell all in and at risk in a huge pot. The board ran out [3c][9d][2d][6d][3h] and Campbell would double up to over 280,000 which currently has him at the top of the chip counts. Players are currently on their second 15-minute break of the day. A player raised from under the gun to 3,000 and the action folded around to the small blind who tagged along. 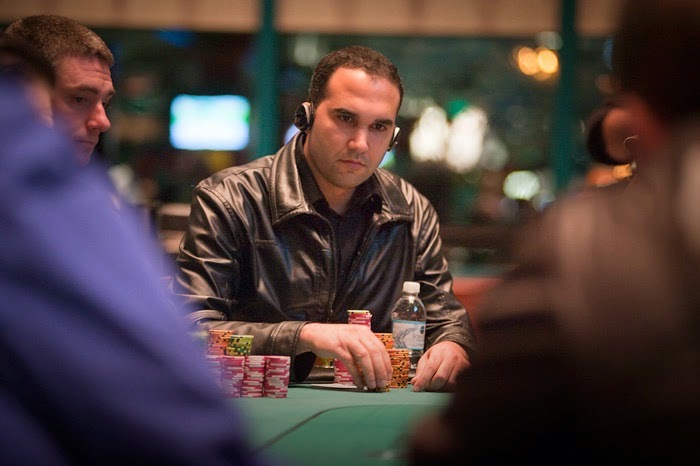 Dave Paredes announced all in from the big blind, the original raiser folded and the small blind snap called. The flop came [Kc][Qc][9d] and Paredes was in great shape to double up. The turn was the [4c] providing the player in the big blind additional outs to a flush, and sure enough the [Ac] hit the river to send Paredes to the rail. There is 18 minutes left in level 12 and the players will be on their second 15 minute break at the end of this level. 253 seats were sold to event 20 creating a prize pool of $65,320. Currently 174 remain and we will be playing down to a winner tonight! Sean Lee anxiously awaits the river. We caught up to the action on table 7 as a player had moved all in on a [8d][Jc][4d][7d] board. Sean Lee put in the 22,000 for the call and the hands were tabled. "Come on baby! No diamond!" Lee yelled as he saw his opponents hand. He threw his hands in the air when the [3c] hit the river. Lee's opponent shook his head as he gathered his things and headed out of the tournament area. Lee now sits with over 130,000 as 13 minutes remain in level 10. Players will be on their first 15 minute break of the day at the end of this level. After already busting Mark Dube earlier today when his [As][Qh] ran down Dube's [Jc][Jd], Spiro Mitrokostas has busted Dube for the second time. In the most recent hand Dube found himself all in and at risk for his last 19,575 with [Qd][Jd]. Mitrokostas went into the tank and eventually called with [Ac][Qs] and was in great shape to send Dube packing. The dealer spread the [10h][Kd][Jh] flop and Mitrokostas improved to broadway. The [7c] on the turn had Dube drawing to only a chop, but he would recieve no such help with the [10s] river, and Mitrokostas would send Dube to the rail for the second time today. Mitrokostas now sits with over 140,000. With registration now closed, the final number of entries is 238. The prize pool and payouts will be posted soon! Four players saw the flop in a limped pot of [4s][9h][3c]. 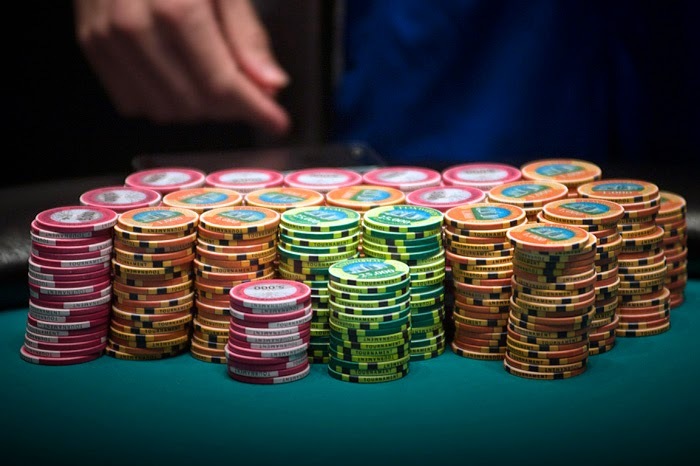 Action checked to a player in middle position who bet 6,100 into a pot of only around 3,000. Andy Frankenberger called on the button and Roland Israelashvili quickly raised from the small blind to 19,000. The original raiser pushed in his remaining chips totaling around 30,000 and Frankenberger folded. Israelashvili quickly announced call and the hands were tabled. The board ran out [Kc][2c] and Israelashvili would take down the pot as he now sits with well over 100,000. After the hand he turned to Frankenberger with a smile and said "Did you see that? Did you see me trap him preflop?" as the table burst out into laughter. 5 players saw a flop of [6s][2c][Kc] and a player from middle position put in a bet of 4,000. 3 players behind him, including James Campbell called and the small blind tagged along as well. The turn was the [5c] and action checked through to Campbell on the button, who put in a bet of 8,100. The small blind went into the tank for a minute or two before announcing he was all in for about 15,000 more and the rest of the table got out of the way. Campbell quickly called and the hands were flipped over. The meaningless [As] hit the river and Campbell would win the pot and chip up to over 120,000. 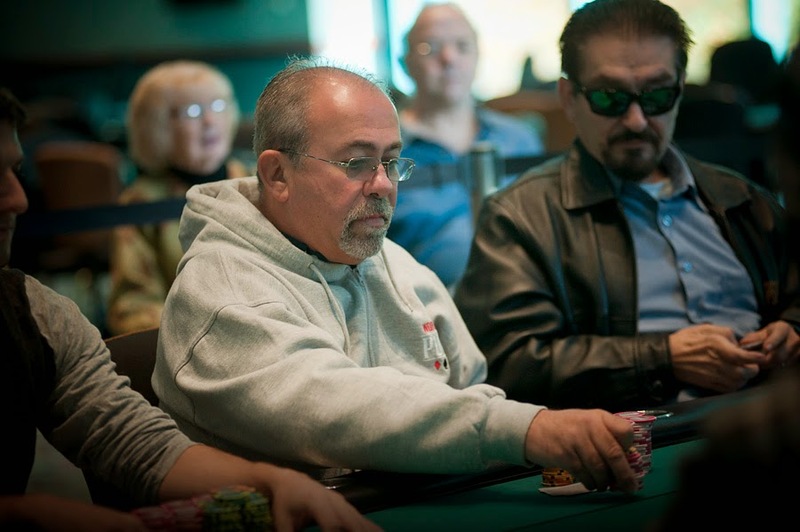 There are over 140 players seated for the $300 NLH event 20. 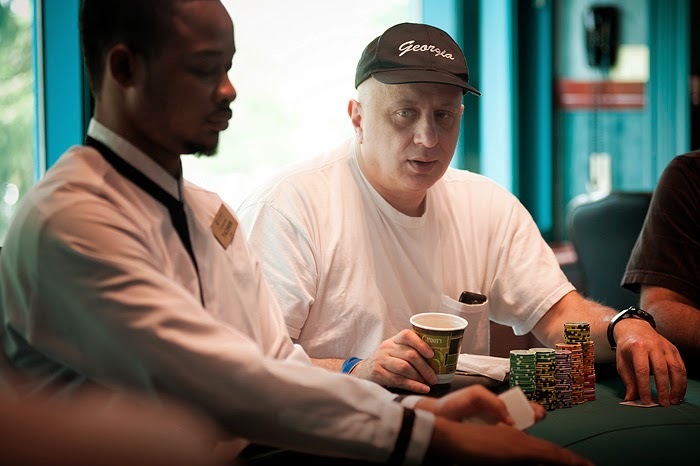 Players start with 30,000 in chips and registration is open through the end of level 9. There will be a 45 minute dinner break at the end of level 20 and this tournament is scheduled for one day! Event 18: Cards Are In The Air For Day 2! Day 2 is underway! So far the board reads 214 total entries and registration is still open until the end of this level. Play is scheduled for 8 full levels today so follow all the action here at www.foxwoodspoker.com and be sure to check out the live stream at www.foxwoodslive.com !